Many people know about the enduring friendship between C.S. Lewis and mythmaker J.R.R. Tolkien. But did you know that Lewis had another dear friend?? His name was Charles Williams. Williams’s work was ripe with mysticism, and yet amidst the tangle of philosophies, there remained an abiding resonance of orthodox faith. His works include War in Heaven, Many Dimensions, The Place of the Lion, Shadows of Ecstasy, Descent into Hell, and All Hallows Eve (to name a few). Lewis deeply valued their friendship. 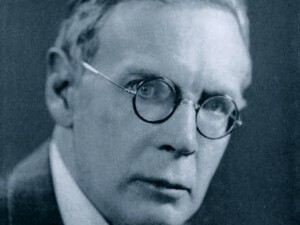 In fact, when Williams suddenly passed away in 1945, Lewis edited an entire book of essays (by various contributors) titled Essays Presented to Charles Williams. The astute scholar and poet Sorina Higgins has dedicated an entire site to the ongoing study of Charles Williams. PLEASE bookmark and visit it often!! Thank you for posting this, Crystal! Your kind act of co-inherence is greatly appreciated.